Ted Christensen is director and Terry Distinguished Chair of Business in the J. M. Tull School of Accounting at the University of Georgia. Prior to coming to UGA, he was on the faculty at Brigham Young University from 2000-2015 and at Case Western Reserve University from 1995-2000. He was a visiting professor at the University of Michigan (2013-2014), the University of Utah (2012), and has taught at Santa Clara University in a summer program since 2005. He received a B.S. degree in accounting at San Jose State University, a M.Acc. degree in tax at Brigham Young University, and a Ph.D. in accounting from the University of Georgia. 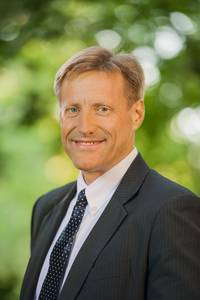 Professor Christensen is an associate editor of the Journal of Business Finance & Accounting. His research focuses on voluntary disclosure. In particular, much of his published research has explored non-GAAP reporting and management earnings forecasts. He has authored and coauthored articles published in many journals including The Accounting Review, Journal of Accounting and Economics, Journal of Accounting Research, Review of Accounting Studies, Contemporary Accounting Research, Accounting Organizations and Society, the Journal of Business Finance & Accounting, the Journal of Accounting, Auditing, and Finance, Accounting Horizons, and Issues in Accounting Education. He is also the author of an advanced financial accounting textbook and a managerial accounting textbook. Professor Christensen has taught financial accounting at all levels, financial statement analysis, business valuation, both introductory and intermediate managerial accounting, and corporate taxation. He is the recipient of numerous awards for both teaching and research. He has been active in serving as an officer and on various committees of the American Accounting Association and is a CPA.